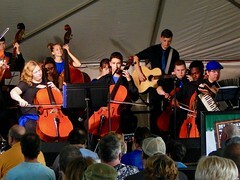 After a couple of years of invites the Fiddlers finally were able to accept an invitation to perform at the Sparta Celtic Fest last weekend in Sparta, MI. This has not been a easy task to accomplish when you are saying congrats to the outgoing seniors, welcoming the new freshmen, enjoying summer vacations, camps, family weddings, college visits, student jobs, summer fun, etc. The Fiddlers continued to rehearse this summer arranging old material, adding new songs, adding instruments, and attending Fiddle Camp. The long summer work is paying off as the summer & fall performances tour begins. The Fiddlers have up coming performances at the Roosevelt Park Day, Mona Shores District Meeting, The Muskegon Irish American Dinner, The Michigan Music Irish Music Fest, and Fiddle Fest with special guest Crossbow. Check the schedule our events on Facebook for the latest information. The Fiddlers sounded great and had a good time at the Sparta Celtic Fest, they are happy they were invited back again at the end of the performance. If you have not been to the Sparta Celtic Fest you are missing out. 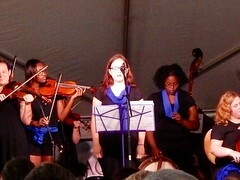 More photos are on our Flickr page and a Live Stream of one of the songs is on our Facebook page. See everyone at the parade and on stage for Roosevelt Park Day.